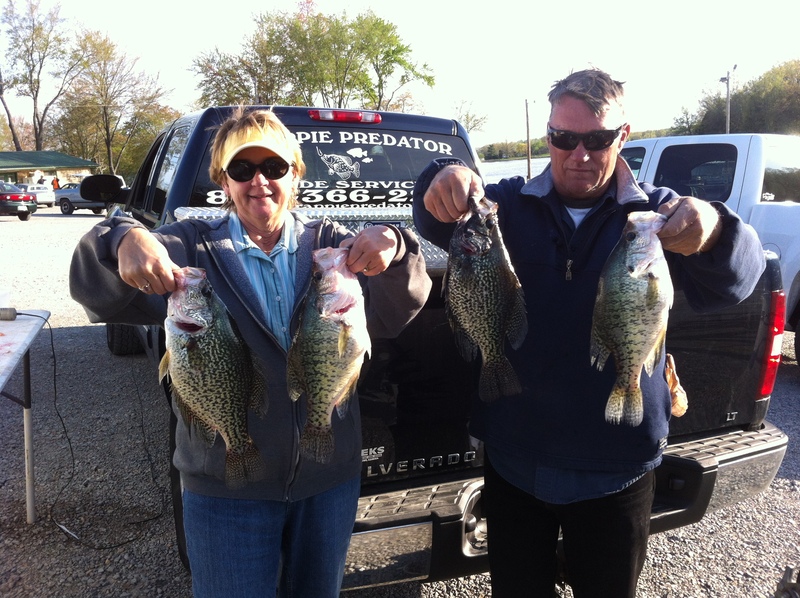 Crappie Predator is one of Southern Illinois’ premiere Crappie Fishing Guide Services. 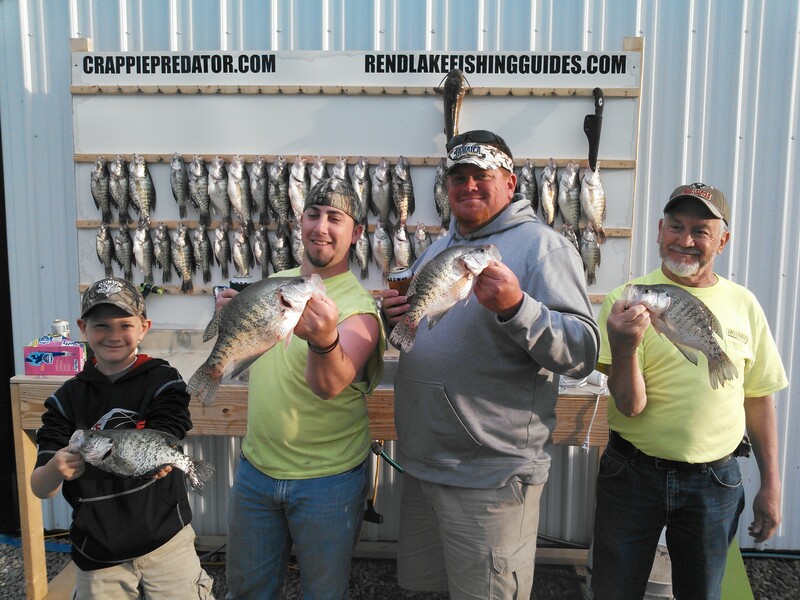 Based in the Rend Lake Region, we serve fishermen from all over the Midwest who are looking to catch lots of giant slab Crappie. 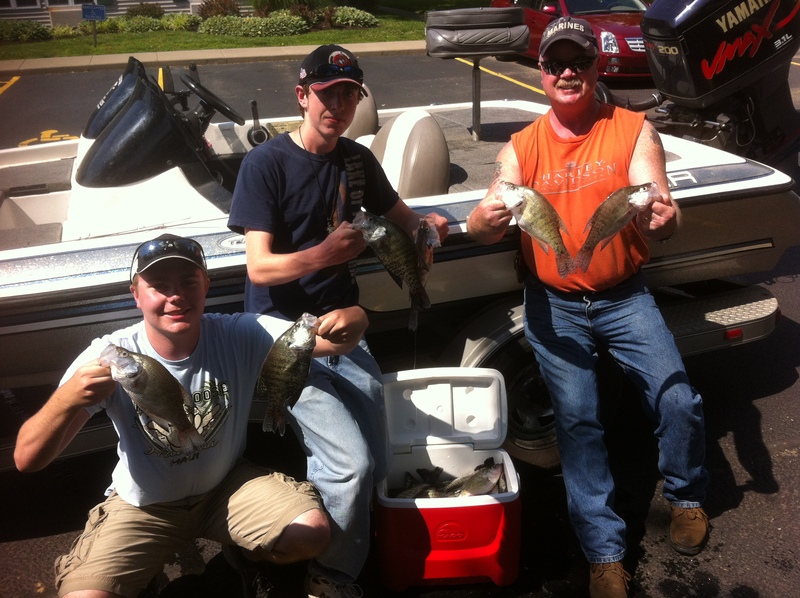 The Founder & Guide of Crappie Predator, Nick Shafer, established this Crappie Fishing Guiding Service for Southern Illinois because he wanted a work life that resembled not only his hobby life, but his overall lifestyle. 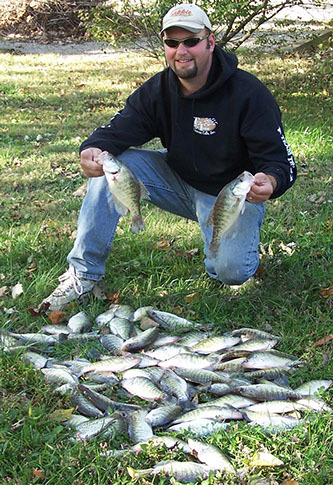 Nick spends every possible minute on the water pursuing Crappie, Bass, Catfish and White Bass. When Nick isn’t Crappie fishing, he can usually be found waterfowl hunting, his other passion. Nick is a former U.S. Marine and has established an impressive welding career over the past few years. 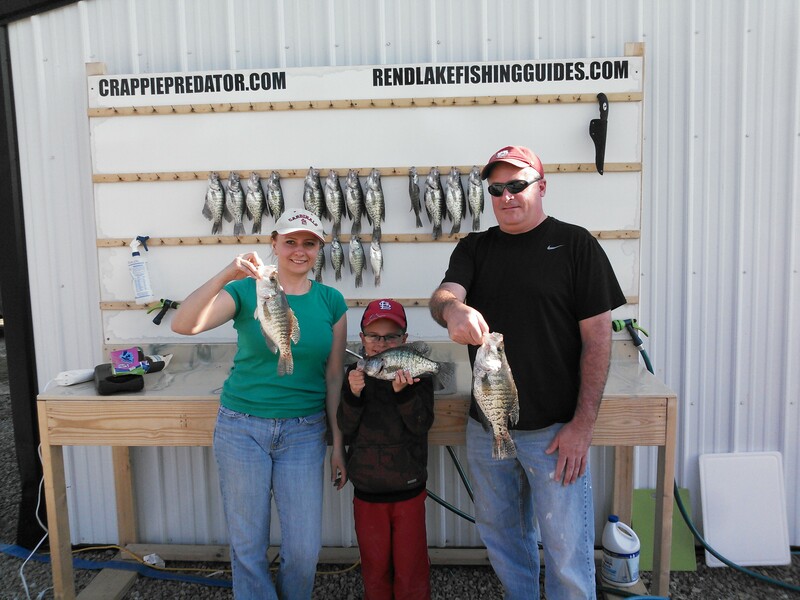 Currently, he has turned his attention to serving clients through Crappie Predator as a full-time aspiration because it is his true passion. 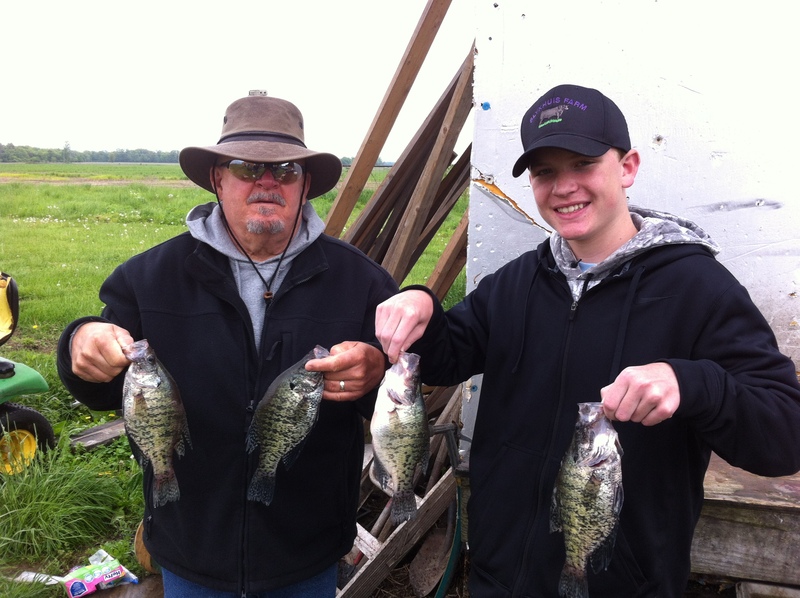 Nick’s oldest son, also shares Nick’s passion for not only crappie fishing, but the outdoors in general; Nick has no problem passing on the business to their son if he wants to someday take on this venture. On a personal note, Nick is a God fearing man and a family man. He and his wife have two children. Although the children have quite an age gap between them, they both share their father’s love of the outdoors. 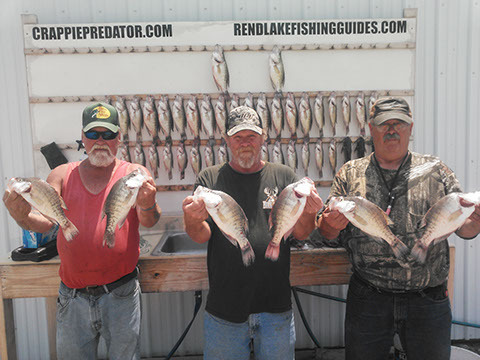 Competitive and recreational Crappie fishing for over 25 years, Nick is able to serve you at various lakes located in Southern Illinois which include: Rend Lake, Lake of Egypt, and Kinkaid Lake. 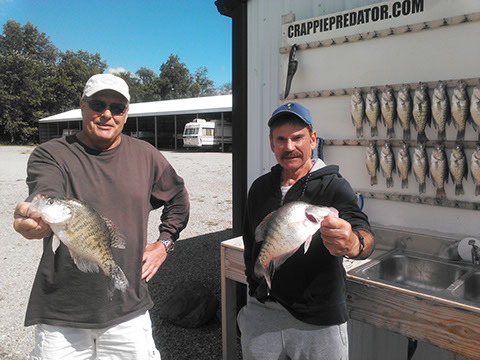 Because Crappie Predator is available to serve you all year round, many fishing styles as well as different species of fish are available to suit your tastes and needs…all you need to do is ask. 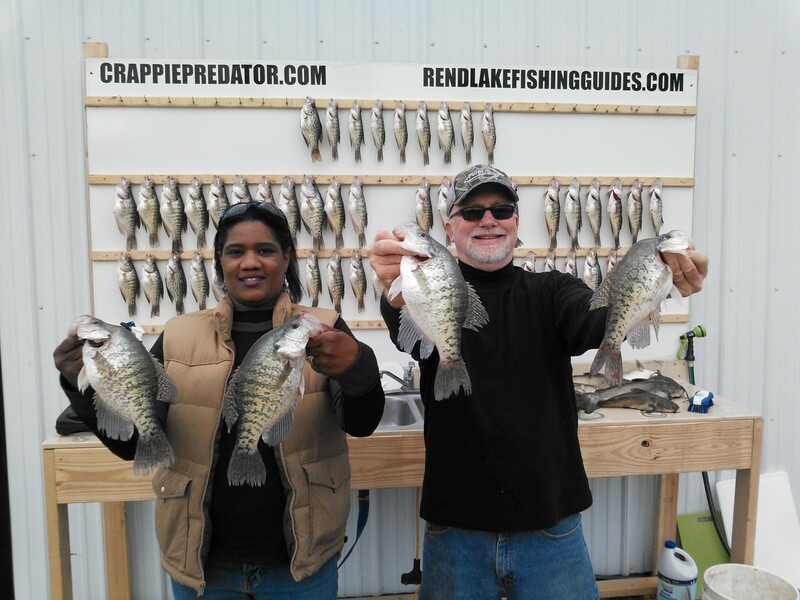 Do not think that Crappie fishing is just in the Spring and Fall months. 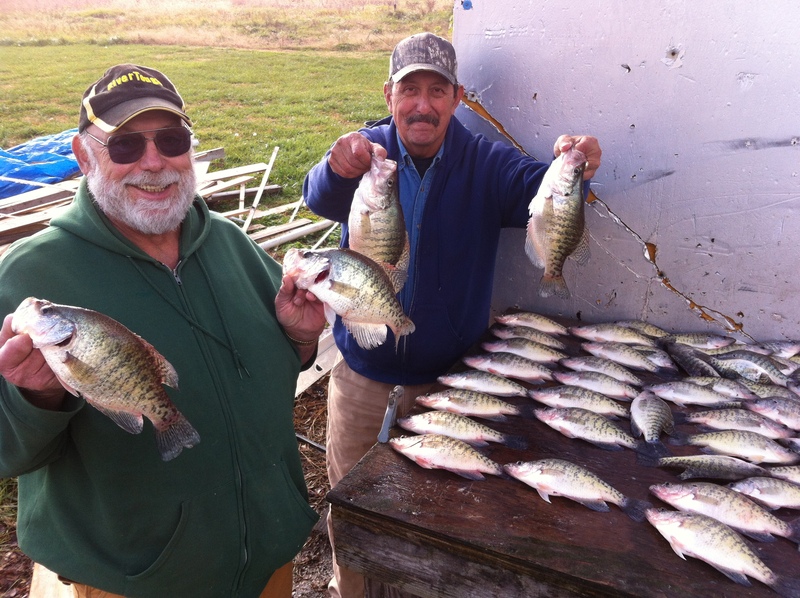 Crappie fishing is great year round. 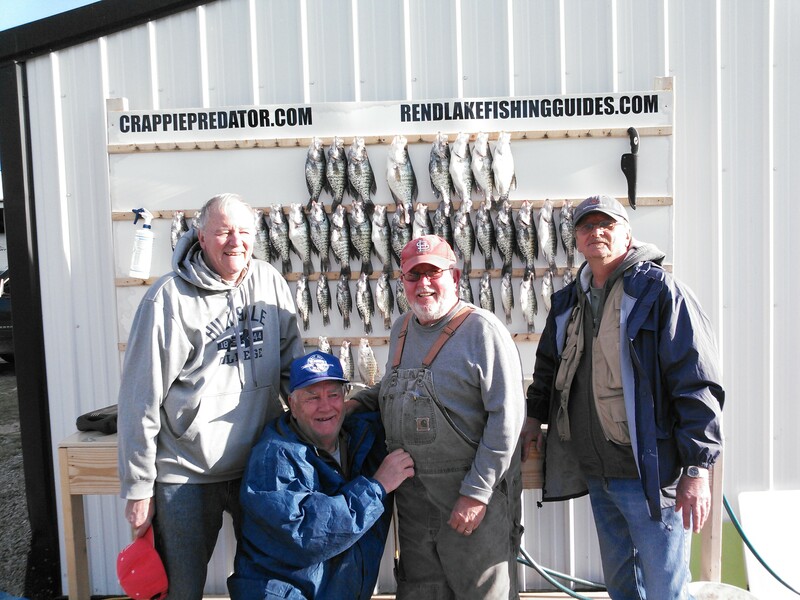 Rend Lake Crappie fishing never slows down, it just changes where and how we fish. 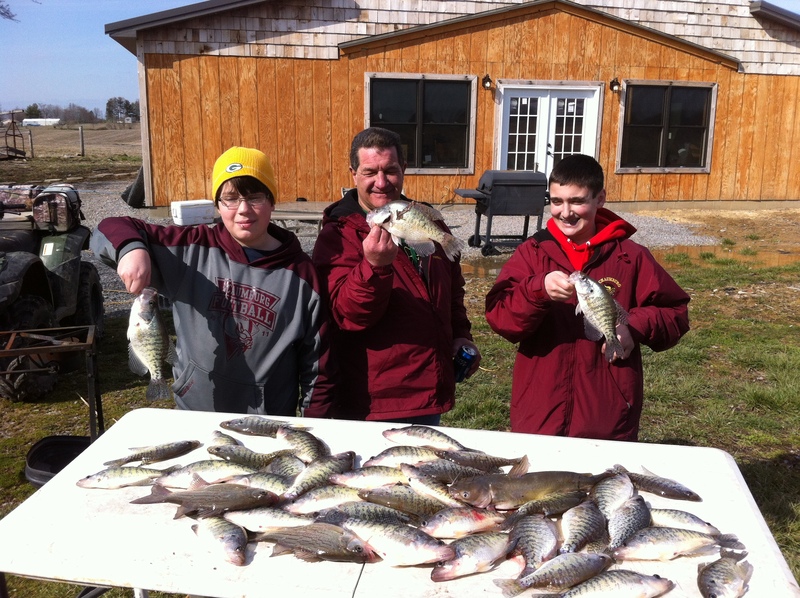 As long as the lake isn’t frozen and we can get our boats in the water, we can catch Crappie! We don’t just talk about it, we live it. 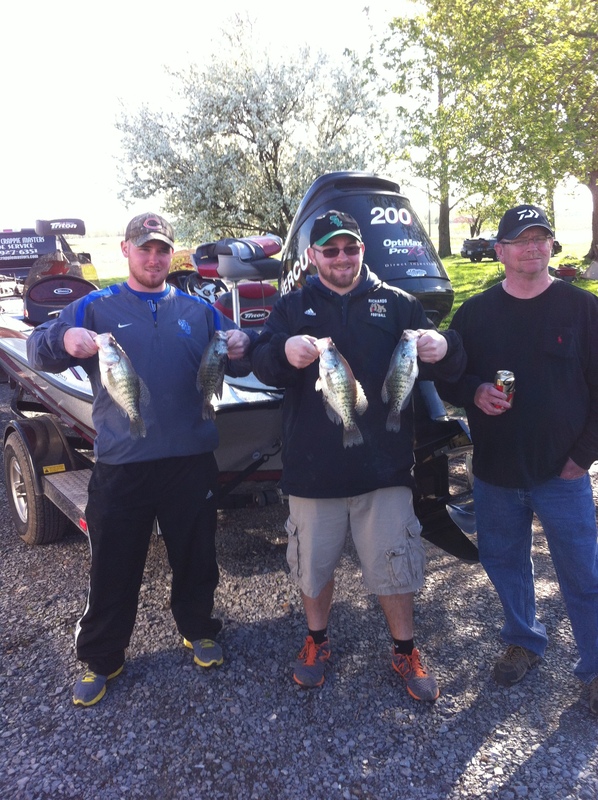 Check out some of our latest tournament results and accolades! 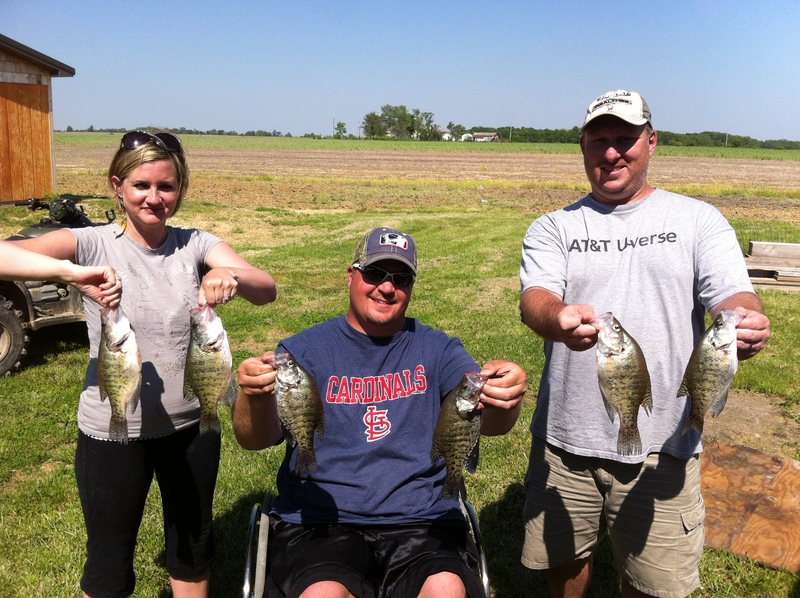 Here’s a quick peek at some of our favorite customers, with some of their spectacular catches! 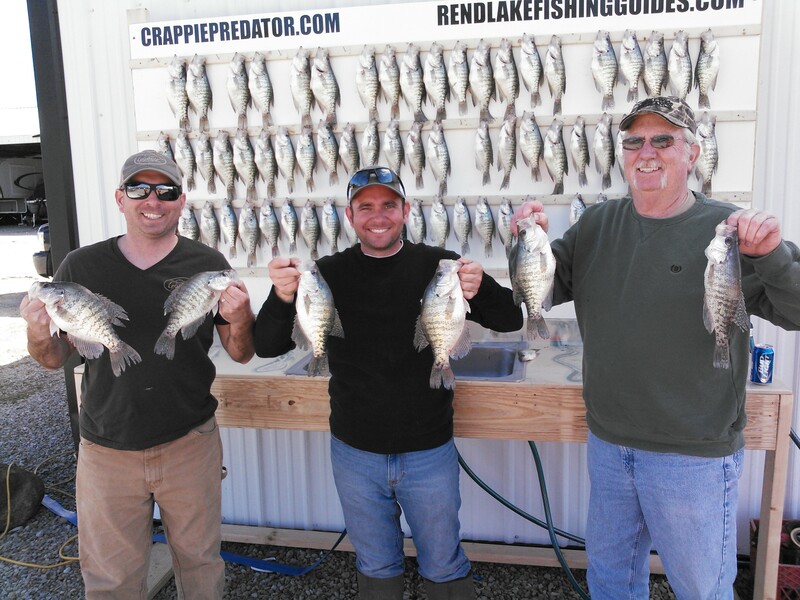 Reserve your spot now with Crappie Predator Guide Services. You will be fishing from a 2015 Skeeter ZX250. It is a 22′ bass boat with the latest Humminbird electronics. It has a 1199 side/down imager on the console and a 1199 side/down imager on the bow. Rates include all bait & tackle and bottled water. Fish cleaning is also provided (tips appreciated). All the fishing gear will be provided, but you are welcome to bring your own. Excellent lodging in the area are available at fantastic rates. 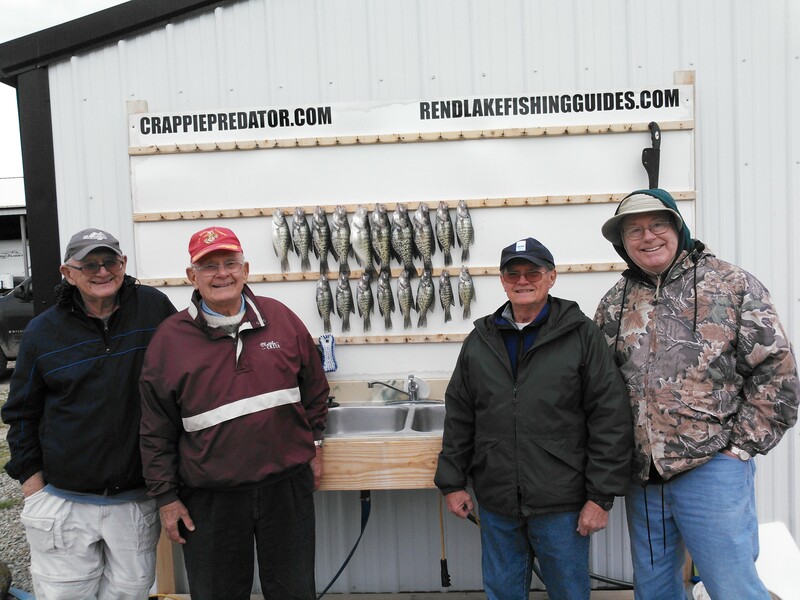 *Please call for pricing if interested to fish on Lake of Egypt and/or Kinkaid Lake. DISCLAIMER: Crappie Predator’s guarantee. 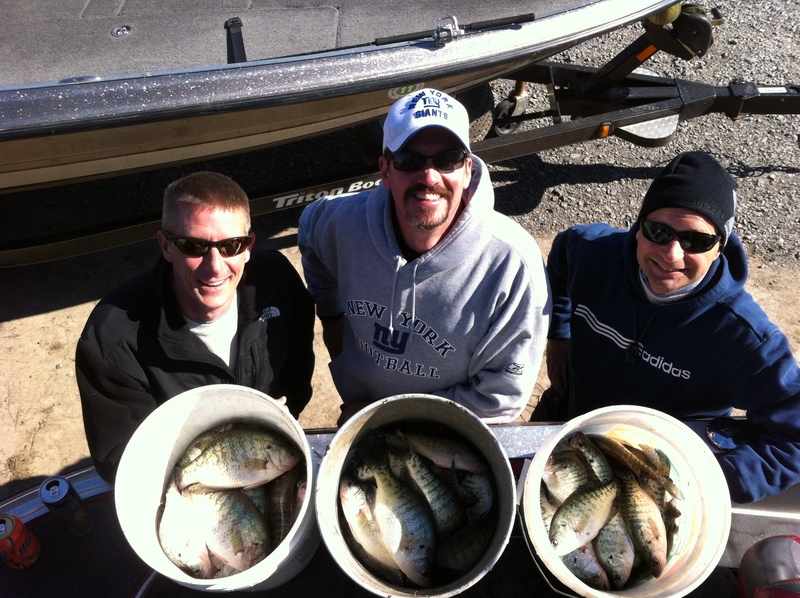 We will give you the best opportunity possible to catch fish. We cannot control what mother nature does, but we will work around what she gives us. If you are not satisfied with the job we do, please let us know and we will make every effort to make it right.